of these lines are available to the user in form of dry contact inputs and relays. CM3-Home board has two dry-contact inputs designed to get the state of mechanical contacts like switches or push-buttons. Some usage example of the GPIOs directly driving them with the user interface. 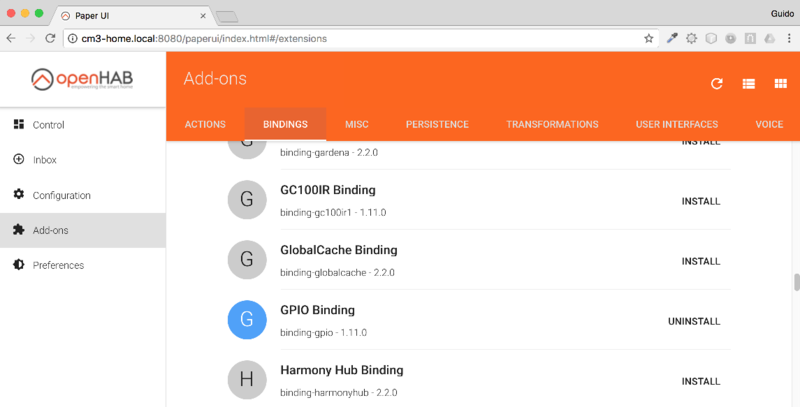 The devices controlled by the GPIO binding are automatically driven by some rules in certain conditions. Through the user interfaces the automatic commands can be bypassed. The opto-isolated inputs, the relays and the RGB led are driven through the OpenHAB GPIO binding. 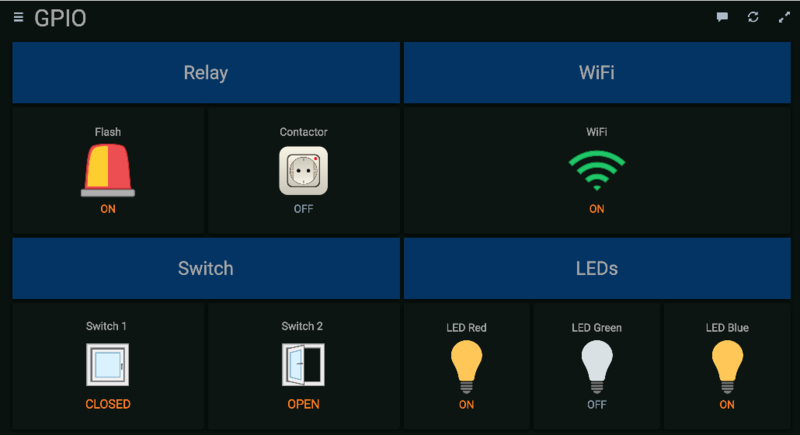 The WiFi module too can be switched on and off with OpenHAB items. In the distribution supplied the GPIO items are configured in some rules to be automatically activated under precise conditions.